NMM 8948. 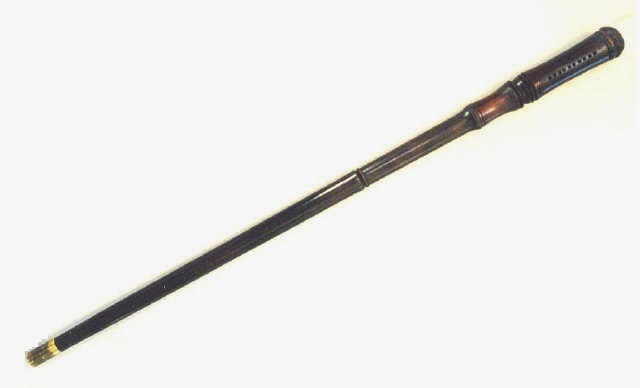 Walking-stick harmonica, England, ca. 1900. This sturdy walking-stick harmonica, with simulated mahogany finish, has 10 diatonic blow-draw holes, allowing simple melodies to be played. 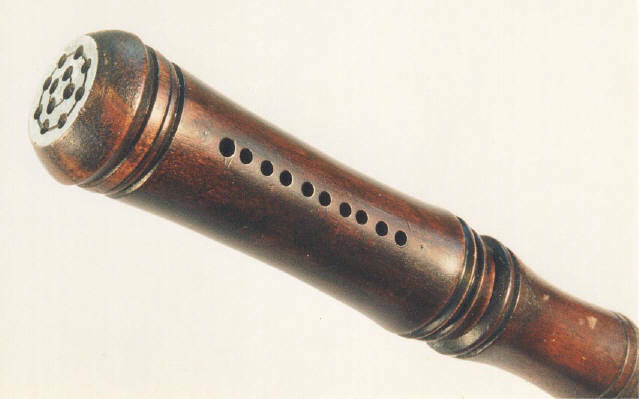 The instrument has vent holes on the top and side. Alan G. Bates Collection, 2000. This walking-stick harmonica is slightly more than 35 inches (898 mm) long.